Novichucklers at it again. Britain’s MI6 planning chemical attack in Syria: US senator. The Democratic senator, who was in Syria recently to meet with senior government officials, reiterated his claims about fake chemical attacks in Syria in an interview with The Washington Post, saying Britain had no intention of carrying out such attacks itself, but it was to direct militants, including members of the so-called White Helmets, a group with alleged humanitarian mission, to launch the attack. Syria FM says terrorists have smuggled chlorine canisters into Idlib to stage a false-flag operation. 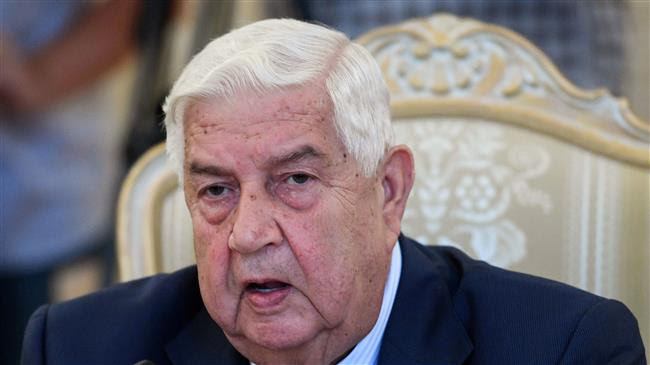 Black’s remarks echoed similar concerns raised by the Syrian government and its allies about the possibility of a chemical attack in the northwestern province of Idlib, where the military is planning a large-scale offensive against militants. Home to some 1.5 million militants and their families, Idlib is the last remaining bastion of anti-government forces in Syria. Russia, a main ally of the Syrian government in its fight against terror, has repeatedly warned that militants and their supporters in the West could use a fake chemical attack as a pretext to slow the government offensive into Idlib. Suggest people contact their local chief constables re this matter. If the UK Govt is suspected of funding terrorism then there should be a police investigation under “reasonable cause to suspect”, which appears in section 17(b) of the Terrorism Act 2000. A couple charged with funding terrorism could be guilty of an offence even if they did not actually suspect their money would be used for terrorist purposes, the UK’s highest court has ruled. TIME FOR SOME ARRESTS ! Jeremy Hunt and Boris Johnson you’re under arrest on suspicion of committing offences under the Terrorism Act 2000 You do not have to say anything but it may harm your defence if you do not mention when questioned something you later rely on in court, anything you do say may be given in evidence. MOSCOW, September 11. /TASS/. The filming of staged chemical attack, allegedly carried out by the Syrian army against civilians, is already underway in the Idlib Governorate with the terrorists’ assistance, the Russian Defense Ministry’s Center for Reconciliation of the Opposing Sides in Syria told reporters.